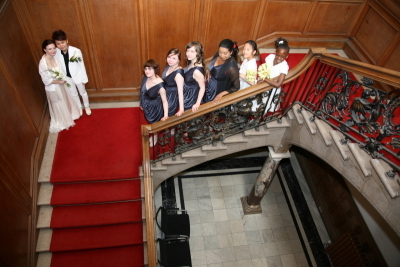 "After contacting many photographers for our Edinburgh wedding, we decided to hire Soul Photography. 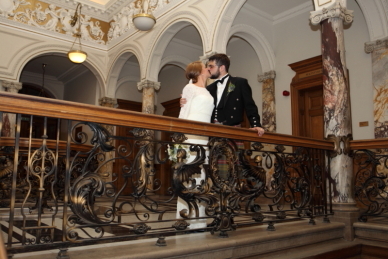 The photos on their website seemed exactly what we wanted for our informal wedding at Lothian Registrars. We're now so glad that we did! On the day, Kris was the first to arrive, so managed to capture the arrival of both families. From the first minute, he was so helpful in rounding up our rowdy crowd, which was no mean feat! Throughout the time we had with him, Kris was really friendly and funny - our families thought he was just great - they were still complimenting him at our wedding bbq yesterday! His knowledge of Lothian registrars and 'how things should be done' there was just fantastic - I'm sure he managed to get us into rooms for pictures which other photographers wouldn't have been able to! - the registrars obviously know and trust him completely. When our DVD arrived, we were delighted. It is well edited, with a wide variety of types of photos - all very in-keeping with the day that we wanted to create. Soul helped to make our day truly special, for which we are so grateful, and I would recommend them to anyone for any occasion." This listed building, on George IV Bridge, was constructed in the late 19th Century. 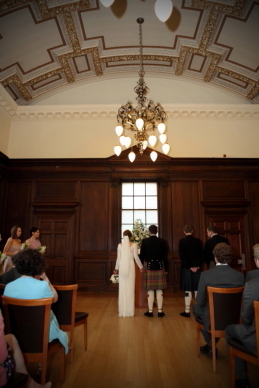 The neo-classical faÃ§ades and opulent interiors make it perfect for wedding ceremony in the heart of Edinburgh. 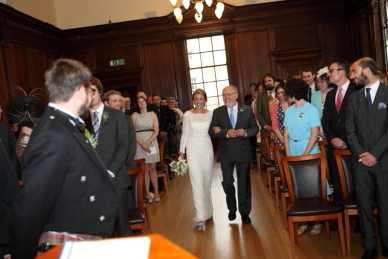 Wedding 27th September 2013 - Lothian Chambers. We just wanted to send you a HUGE thank you once again for our wedding photos. They are absolutely amazing and are better than I could ever imagine. 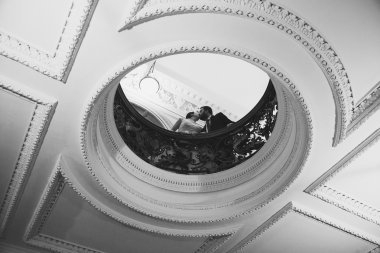 You captured every minute of our wedding and the photos had the most amazing backgrounds, with St Giles Cathedral, Parliament Square and Lothian Chambers itself. From one who doesn't like getting photos taken I thoroughly enjoyed the photo shoot, even walking in the middle of the road down the Royal Mile! Our photos are spectacular and we are now struggling to pick our favourites to go in an album. We will highly recommend you to anyone. Your price was outstanding for the quality and quantity of the photos taken. Thank you so much once again"